Malacca is a heady mélange of Dutch, Portuguese, Malacca-Portuguese (or as it's colloquially known, Kristang), English, Chinese, Indian and Malay influences - a repository of much colonial heritage and custom intertwined with local practice. Its rich history is reflected in many facets of the city including its cuisine. 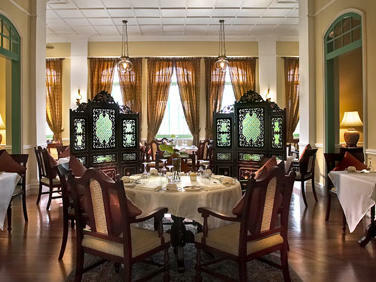 The Majestic Malacca provides an eclectic selection influenced by its rich multi-cultural flavours contributed by the Nyonya, Portuguese, Malay, Chinese and Indian cultures. In addition to Western fare, the hotel also offers Kristang dishes that feature the freshest ingredients infused with a complex combination of spices and aromas to create one of Southeast Asia’s most original and exotic cuisines. 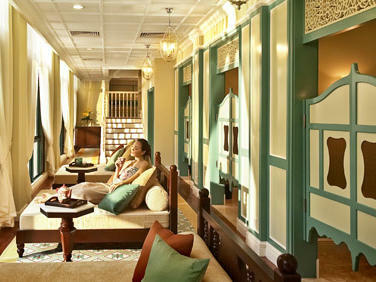 Spa Village Malacca is the world's only spa to base its therapies on the healing heritage of the Baba-Nyonya or Peranakan culture - a unique combination of Chinese and Malay influences. 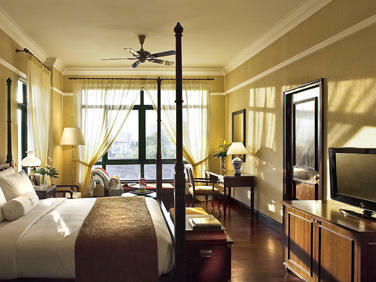 Spread across the two levels at The Majestic Malacca, the rich heritage is reflected not only through the therapies but also within the architecture, which provides an environment designed to capture the essence of the location. Traditional Peranakan Chinese day beds are bathed in muted sunlight from floor to ceiling windows in the relaxation lounge while private treatment rooms exude refined luxury through fine porcelain wall tiles, ornate silverware and intricate traditional wood carving. Inspired by the elaborate and colourful 12-day Peranakan Wedding Ceremony, every guest enjoys a pre-spa experience that includes a soothing hair care ritual. Therapies are molded around a person's cool or warm energies based on Peranakan belief and inspired by traditional Chinese medicine. The combinations of age-old traditional remedies sourced from indigenous ingredients are believed to cleanse, replenish and reinvigorate, both physically and mentally. Spa Village Malacca embraces the rich multicultural influences and offers guests a glimpse of this way of life with a spa experience like no other.